A New Discovery for Jacob — don’t miss his joy! 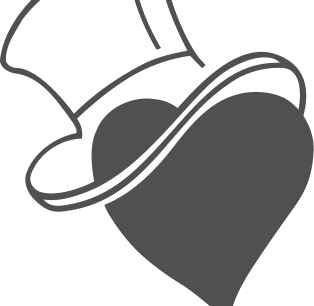 Our “My Voice” Program and the impact it can have continues to amaze us all, and we want everyone to share in Jacob’s joy and that of his mother and brother on Valentine’s Day. The three of them joined us last week at a Press Conference to find more eligible kids. Jacob is pictured above with his mother Eileen and brother Evan. 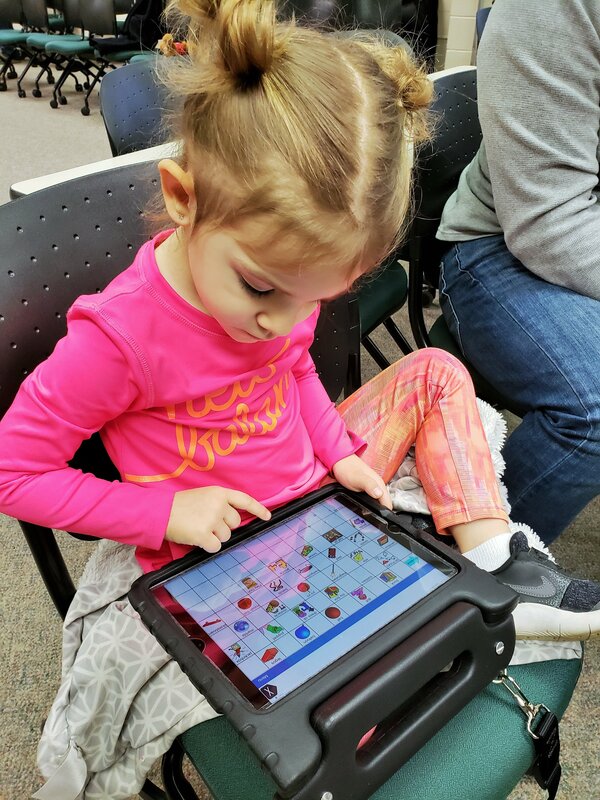 I was listening to your story about Mia and her brother using her iPad to ask Alexa to play Baby Shark. It took me 2 days to think how that could help Jacob. Well, today I figured it out! We have a voice remote for our T.V. Jacob tries, very unsuccessfully most of the time, to tell our remote what he wants to watch. I thought of an idea. Why don’t we program Touchchat with pictures of all his favorite shows. Now he can use his iPad to ask the remote to turn on his favorite shows. Evan was able to help with finding pictures of all of his favorites. When we sat with him to teach him how to do it, he was so excited. The first thing he wanted to try was the Penguins logo! Sure enough, he got what he wanted. Now he is watching the Pens beat Edmonton!!! Thank you for all you do for our kids. Then, she e-mailed this 20-second video, which shows Jacob using his communication device for the first time to get the Penguins game on TV independently! Jacob’s JOY at being able to do this himself is a reminder for all of us that this is very special work that we’re engaged in. We are giving kids the opportunity to do for themselves, the very things we take for granted. P.S. 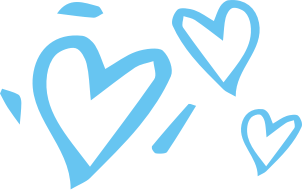 On this Valentine’s Day, a day of love for one another, Eileen shines as an example of the love all our moms have in their hearts for these extraordinary children and youth. I wanted to send you this link to watch the KDKA-TV piece from yesterday’s Press Conference, which focused on giving a voice to every eligible child that’s in need in partnership with United Steelworkers and Highmark – https://pittsburgh.cbslocal.com/2019/02/05/variety-expanding-access-to-speaking-device-for-special-needs-children/. Pictured above is Tyler and me from the Press Conference. 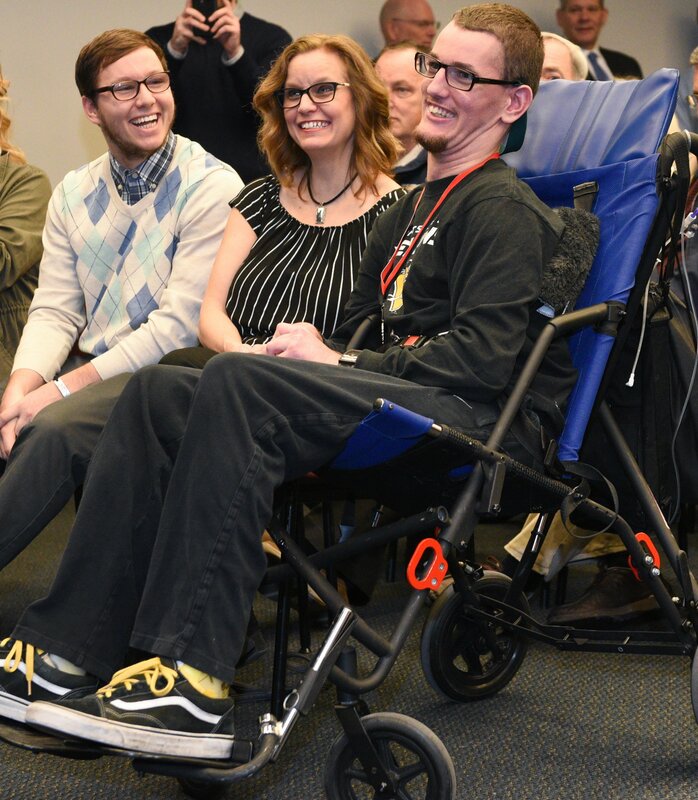 As you watch the video from yesterday’s Press Conference, I’m sure you will agree with me that Tyler, Jacob, and their families are our TRUE HEROES. They made the time to be there yesterday and share themselves so authentically in the hopes that other children would receive communication devices. As many of you may know, yesterday was also my birthday. 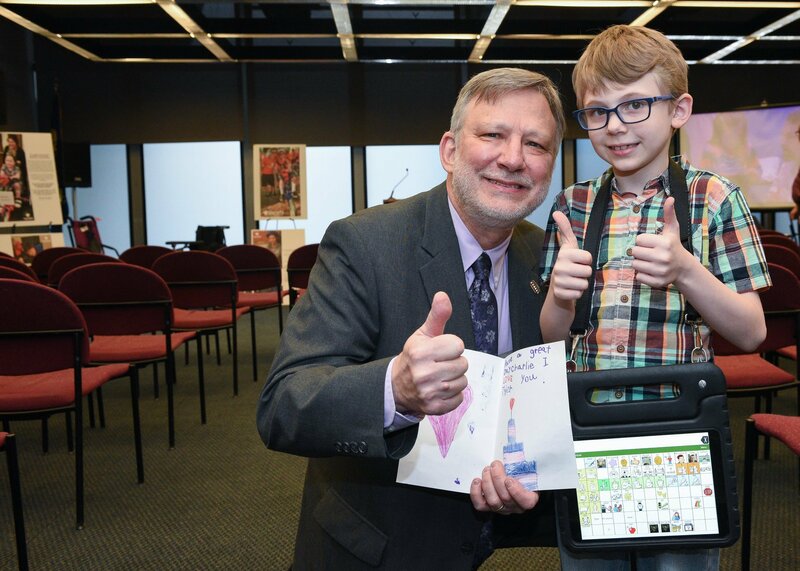 Over the years, I’ve saved every birthday card that I received Fred Rogers, and he always wrote, “I’m so very glad you were born.” As I reflect on the work Variety is doing and on yesterday’s Press Conference, I wanted to say to all of our Variety Friends that I’m so very glad that Tyler and Jacob were born – two Variety Heroes. 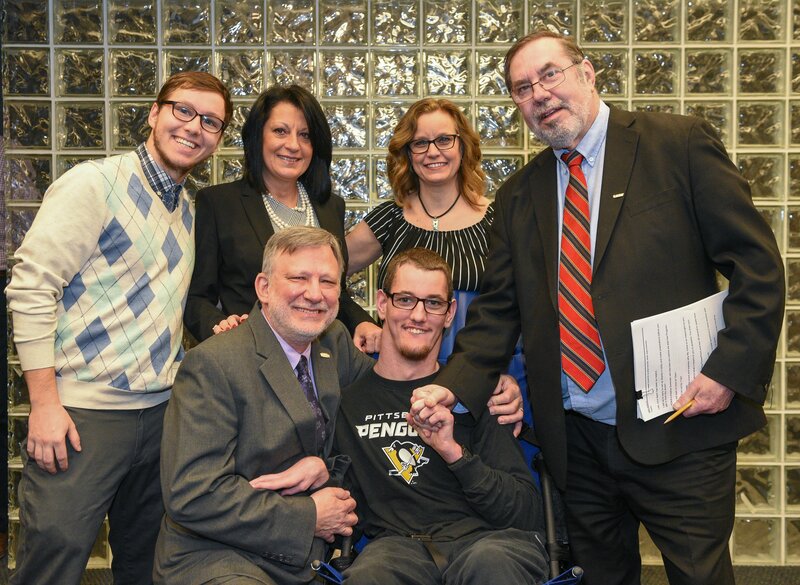 Pictured above is Jacob (all smiles) with his brother Evan and mom Eileen surrounded by Deb Rice-Johnson, Variety Board President & Highmark, Inc. President / United Steelworkers International President Leo Gerard / and me. At Variety, we another quote from Fred Rogers as our tagline, “Anyone who does anything to help a child in this life is a hero to me.” I couldn’t imagine a more meaningful birthday than spending it with Tyler and Jacob, who are helping more kids find a voice of their own. Joy & Hope for Owen & His Mom! Less than a month ago we presented 4-year old Owen with a communication device in Altoona. Owen has autism. This morning, we received a note from Owen’s mom Jessica. It is another reminder of the things that we all take for granted are major moments in the lives of these families. Luke is pictured above with his mom. 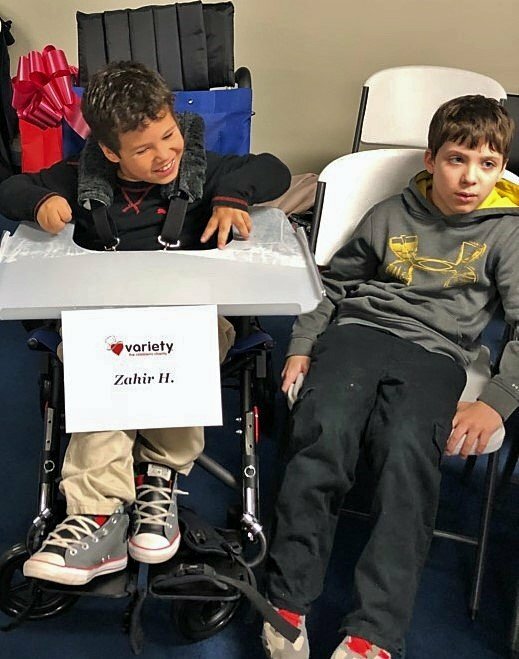 Over the course of one-week, Variety partnered with the Appalachia Intermediate Unit 8 and the Capital Area Intermediate Unit to impact 37 local kids throughout the Central PA region! TAKE A MOMENT & SHARE IN THESE SMILES! Tori is all thumbs up for her new bike. Additionally, Mia (pictured below) received her new communication device with AIU#8. Mia checking out her new communication device! 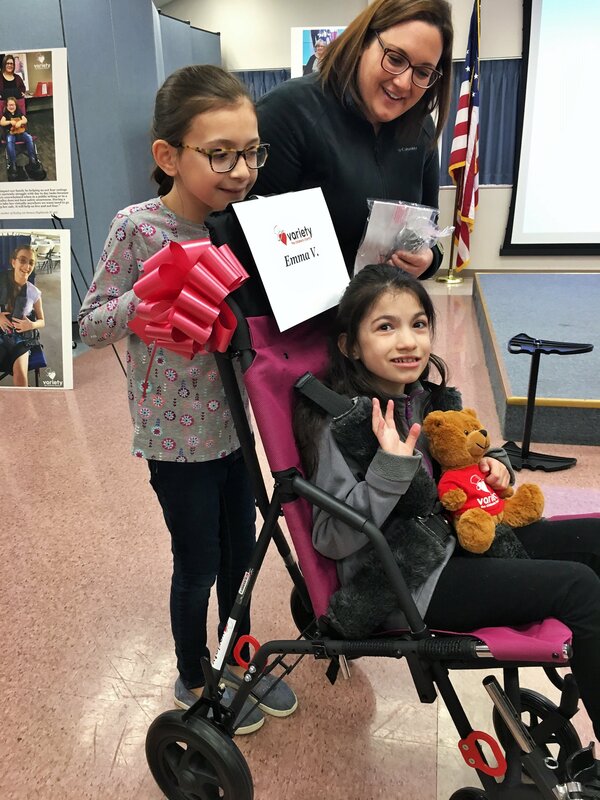 When Variety presented adaptive equipment this past Monday, January 14th with the CAIU, Emma received her new adaptive stroller (pictured below with her mom and sister). Emma in her new comfy stroller. All smiles next to their new bikes! Brothers, James and Willoughby both received their new bikes at the CAIU and couldn’t have been more excited about it! This story is truly a Christmas Miracle that I hope you’ll watch and share with others to spread the holiday spirit. 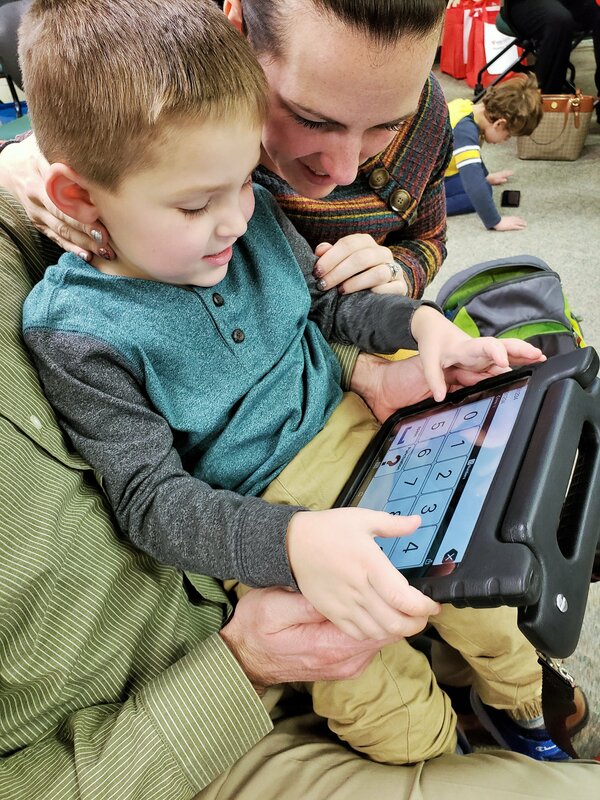 Last night, KDKA-TV and Kristine Sorensen featured the extraordinary progress that Tyler, age 7 has made in going from no voice of his own, to a communication device, to speaking with his very own voice – https://www.kidsburgh.org/boy-with-autism-finds-his-voice-thanks-to-special-ipad. 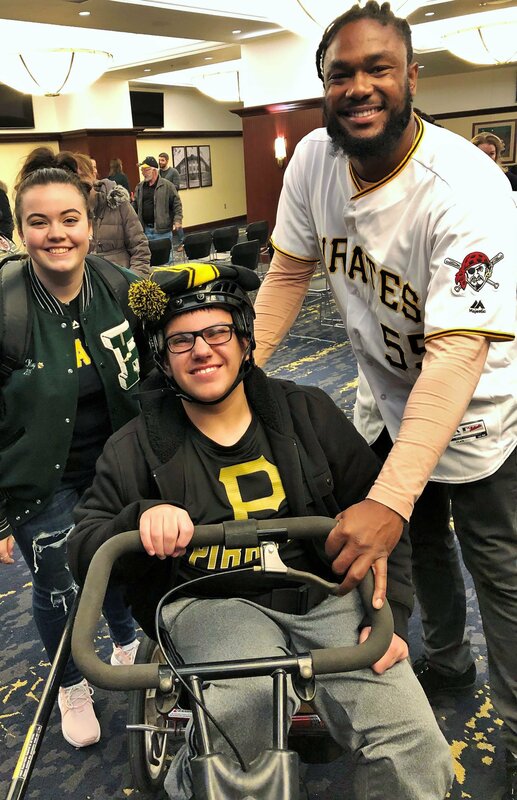 Variety is blessed to be a part of this “Christmas Miracle” as KDKA said, and Tyler has truly changed our lives for the better. 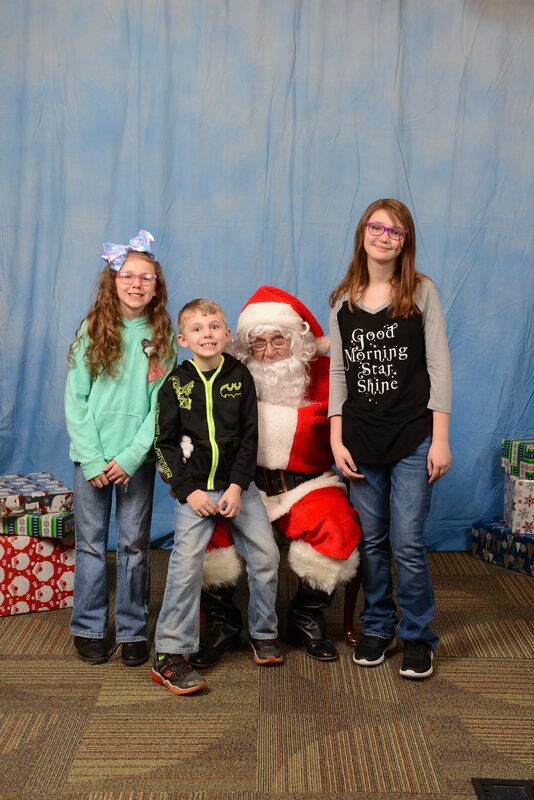 Tyler is pictured above with his sisters, Sienna and Ariel visiting Santa! We had an incredible experience at Variety’s 2018 Gala which highlighted the Smedley family. All three sisters riding bikes at Variety’s 2018 Gala. We treasure this one-minute video which shows these girls, who were friends in China, and are now sisters in Crawford County, PA, and riding bikes together for the first time. 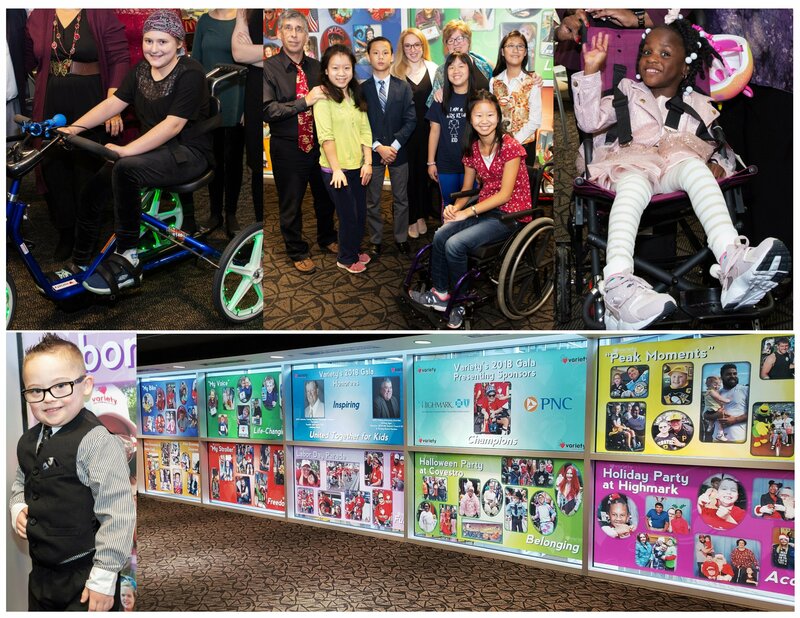 At Variety’s 2018 Gala on November 2nd, our kids truly SHINED as they rode, strolled, or walked in our “Kids Parade” that kicked off an evening of hope. For the 12 kids that joined us, it was truly a “peak moment” where they got to be spotlighted for their amazing abilities rather than their disabilities. We asked everyone in the room to commit to sharing this special video on social media or via e-mail to help get the word out far and wide – more than 450 attendees raised their hands as a promise to us and our kids. Will you also commit to sharing this video with your colleagues, family, and/or friends in hopes of finding more kids that could benefit from Variety’s programs? 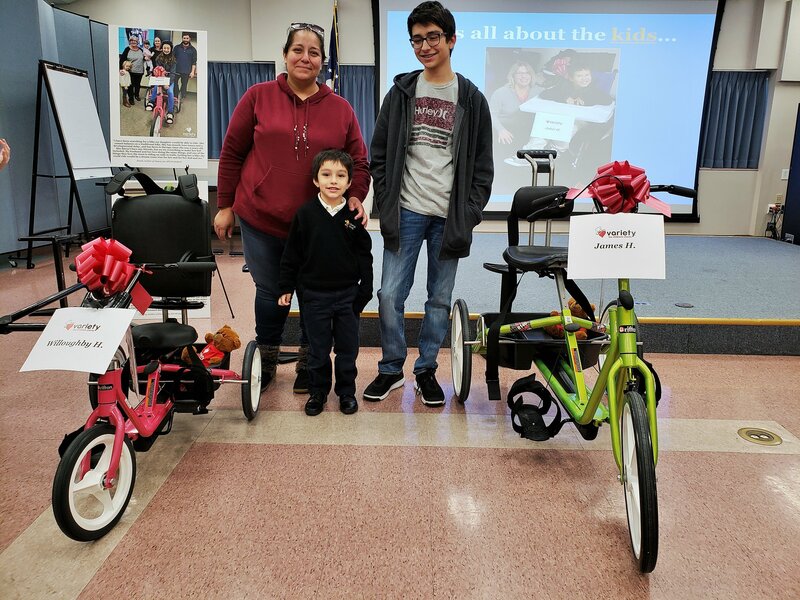 Our goal is to find 100% of kids that could benefit from our programs, and you taking one minute to share could help one more child receive their own adaptive bike, adaptive stroller, or communication device. Variety was also grateful to honor two amazing individuals during our 2018 Gala, Tim Wiebe and Mickey Sgro, who have dedicated their time and resources to help change kids’ lives. You can see more photos from the event by clicking here. Thank you for your time and your belief in the importance of Variety’s work and mission to enable children with disabilities to live life to the fullest. We could not do it without you, our mighty Variety team! Twins, Levi & Emmalee Impacted In Wheeling! Yesterday, we celebrated the holiday season early in Wheeling, West Virginia! 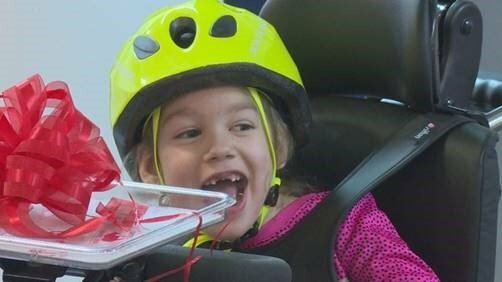 Jordyn is pictured above ALL SMILES on her new bike (photo by WTRF). 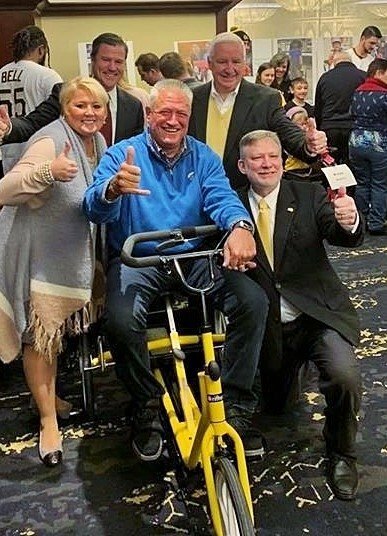 Variety partnered with Southwestern Energy on Thursday, November 8th to host a special presentation for local kids in the Wheeling region to receive new adaptive equipment, and we were even joined by Wheeling Mayor Glenn Elliott! 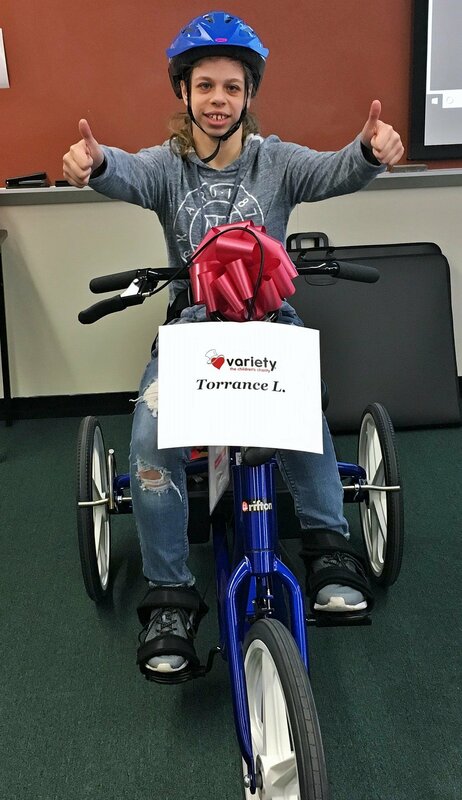 In total, Variety presented 4 adaptive bikes, 2 adaptive strollers, and 1 communication device, as well as fit 4 more kids for a bike or stroller (i.e. the last step before ordering equipment). Excitingly, two of the kids yesterday received multiple pieces of equipment, as Variety does not put a limit on families receiving more than one piece of equipment. If a child is eligible and can benefit, we want families to have it. 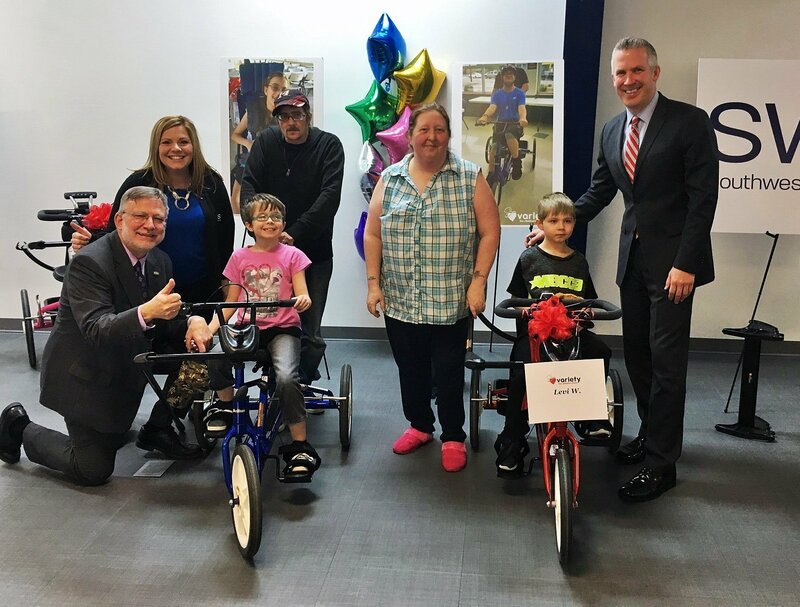 It was a VERY special moment for parents Kathy and Vernon, as they watched their 8-year old boy, Levi receive his very own adaptive bike. It got even more special as Variety fit Levi’s twin sister, Emmalee for HER adaptive bike! Pictured above are Emmalee on a blue bike and Levi on his red bike with myself, Amy Dobkin (Southwestern Energy & Variety Board), Kathy and Vernon, and Mayor Elliott. “I have twins. This is Emmalee and this is Levi. They are both autistic, and even though Emmalee speaks, she can’t answer yes or no questions to let us know if she was hurt. Before coming here today, I heard about Variety’s other programs, including their “My Voice” Program, and that’s big for us because we have never heard Levi talk, as he is nonverbal. Recently, Levi has started to verbalize sounds, which is huge for us. Check out these two terrific pieces done by WTOV and WTRF to experience the joy of yesterday for yourself!